Introvert or extrovert? It’s a fundamental personality distinction most of us use to guide our decisions in choosing everything from romantic partners and friends to employees and even presidential candidates. And more often than not, we tend to give preference to the people we see as more social, gregarious, and comfortable in the limelight and in crowds. 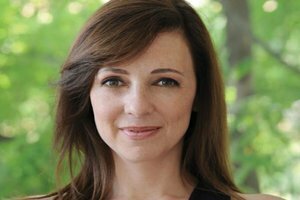 But according to self-proclaimed introvert Susan Cain, author of Quiet: The Power of Introverts in a World that Can’t Stop Talking, maybe it’s time the world came to appreciate the strengths and contributions of the 50 percent of Americans who are introverts. In 2012, she gave a wildly popular TED talk in which she argued that our world has been ruled by extroverts long enough. Fueled by the response to her TED talk and the success of her bestselling book, she has started a movement called the Quiet Revolution, which promotes change in education and business that acknowledges and nurtures introverts’ unique talents. She recently found time on her way to a speaking engagement to share some thoughts on the practical challenges of helping introverts reach their full potential. RH: You’ve said introversion is viewed as a second-class personality trait. Why?